A Vietnamese national was sentenced to 13 years in prison for hacking into U.S. businesses’ computers, stealing personally identifiably information (PII), and selling to other cybercriminals his fraudulently-obtained access to PII belonging to approximately 200 million U.S. citizens. Assistant Attorney General Leslie R. Caldwell of the Justice Department’s Criminal Division, Acting U.S. Attorney Donald Feith of the District of New Hampshire and Director Joseph P. Clancy of the U.S. Secret Service made the announcement. Hieu Minh Ngo, 25, was sentenced today by U.S. District Court Judge Paul J. Barbadoro of the District of New Hampshire. 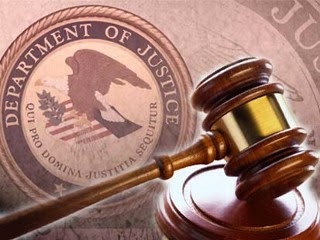 Ngo previously pleaded guilty to federal charges brought in the District of New Hampshire and the District of New Jersey, including wire fraud, identity fraud, access device fraud and four counts of computer fraud and abuse. According to admissions made in connection with his guilty plea, from 2007 to 2013, Ngo operated online marketplaces from his home in Vietnam, including “superget.info” and “findget.me,” to sell packages of stolen PII. These packages, known as “fullz,” typically included a person’s name, date of birth, social security number, bank account number and bank routing number. Ngo also admitted to acquiring and offering for sale stolen payment card data, which typically included the victim’s payment card number, expiration date, CVV number, name, address and phone number. Ngo admitted that he obtained some of the stolen PII by hacking into a New Jersey-based business and stealing customer information. In addition to selling the “fullz,” Ngo admitted to offering buyers the ability to query online databases for the stolen PII of specific individuals. Specifically, Ngo admitted that he offered access to PII for 200 million U.S. citizens, and that more than 1,300 customers from around the world conducted more than three million “queries” through the third-party databases maintained on his websites. Ngo made nearly $2 million from his scheme. The Internal Revenue Service has confirmed that 13,673 U.S. citizens, whose stolen PII was sold on Ngo’s websites, have been victimized through the filing of $65 million in fraudulent individual income tax returns. The case was investigated by the U.S. Secret Service’s Manchester Resident Office. The case is being prosecuted by Senior Trial Attorney Mona Sedky of the Criminal Division’s Computer Crime and Intellectual Property Section and Assistant U.S. Attorney Arnold H. Huftalen of the District of New Hampshire. The case out of the District of New Jersey was investigated by the FBI, and is being prosecuted by the U.S. Attorney’s Office of the District of New Jersey.